The Chinese Pistachio is highly recommended by horticultural experts at Texas A&M, Oklahoma State and Kansas State Universities. 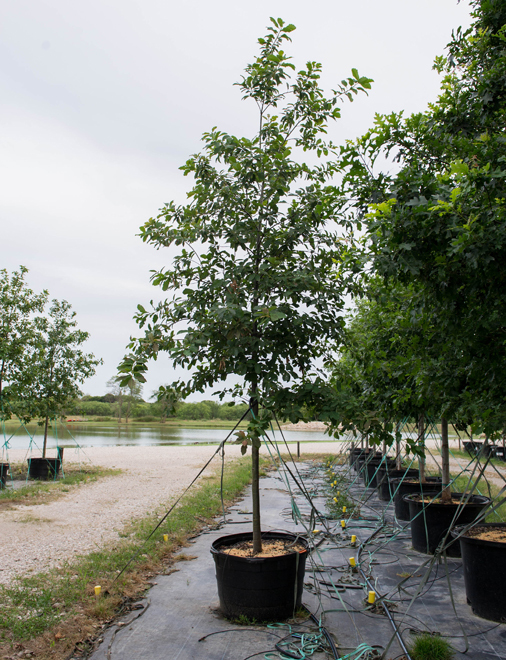 The Chinese Pistachio is a medium sized ornamental tree from China and Taiwan that is extremely winter hardy and has a superior level of drought, heat and wind tolerance. 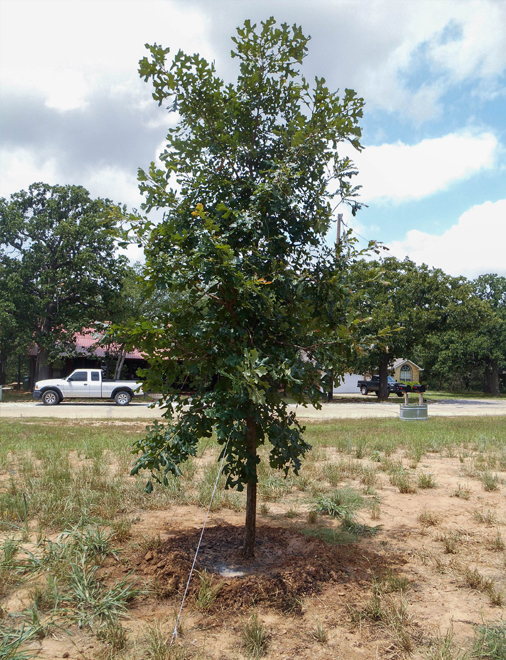 The Chinese Pistachio is the first shade tree to receive the coveted “Earth-Kind” designation from the Texas Agricultural Extension Service for its high levels of genetic resistance to insect and disease problems. The Chinese Pistachio has extremely hard, durable wood which helps protect the tree from wind, ice and decay. 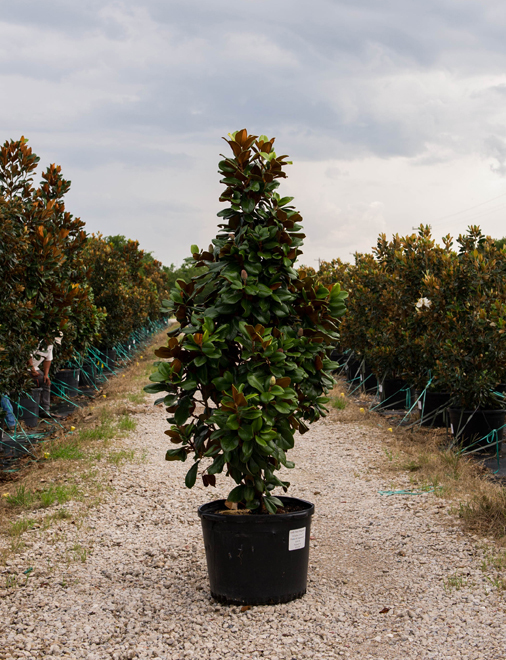 Chinese Pistachio trees have a medium to fine textured foliage that remains an attractive deep green color during the growing season and a spectacular fall color in shades of orange, red, and crimson. In the summer the female Chinese Pistachio produces panicles of inconspicuous red dish flowers that are followed by small green berries that turn red to reddish-purple in the fall, which are relished by birds. 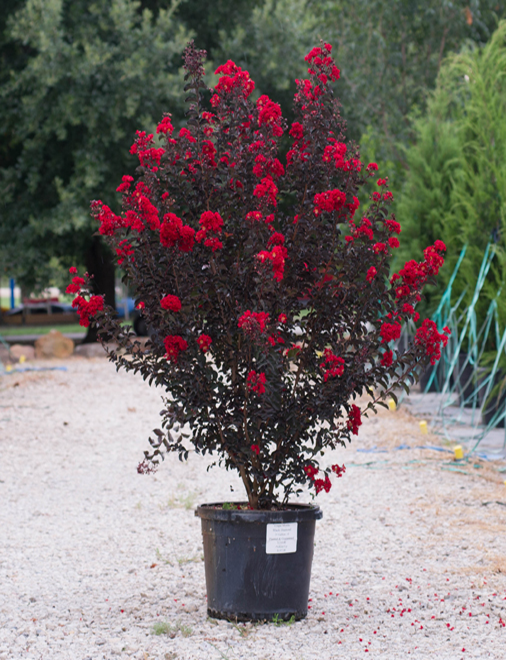 This brilliantly colored Best Red, Black Diamond Crape Myrtle features dark burgundy-blackish plum foliage which contrasts against the boldly colored red blooms, easily making it a focal piece in any landscape. The deep red and black colors are perfect for those looking to break up that “too much green” effect seen in typical flowerbeds. This medium sized shrub will bloom all summer until fall’s first hard frost. For best results, grow in full sun with well amended soil. Black Diamond Crape Myrtles have also showed improved tolerance to drought as well as fungal diseases like powdery mildew, and leaf spot. The Brodie Eastern Red Cedar (often referred to as Brodie Juniper) is one of the most popular cultivars of Juniperus virginiana because of its narrow pyramidal growth habit. 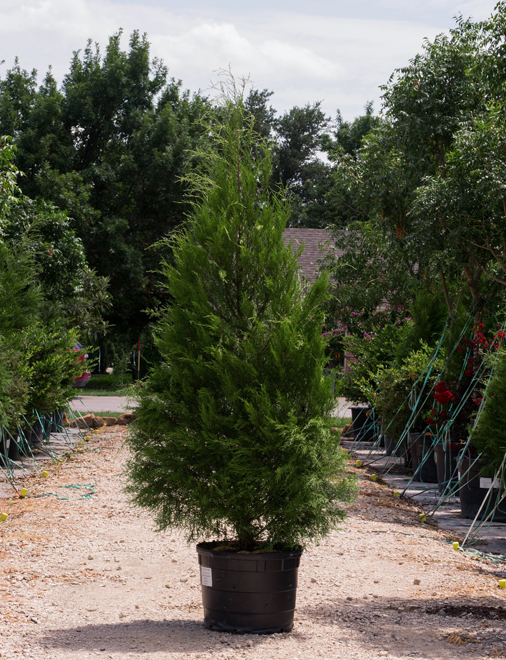 Traditionally Eastern Red Cedar (parent plant of the Brodie Juniper) have not has as much popularity in smaller landscapes due to their mature width of 25’. 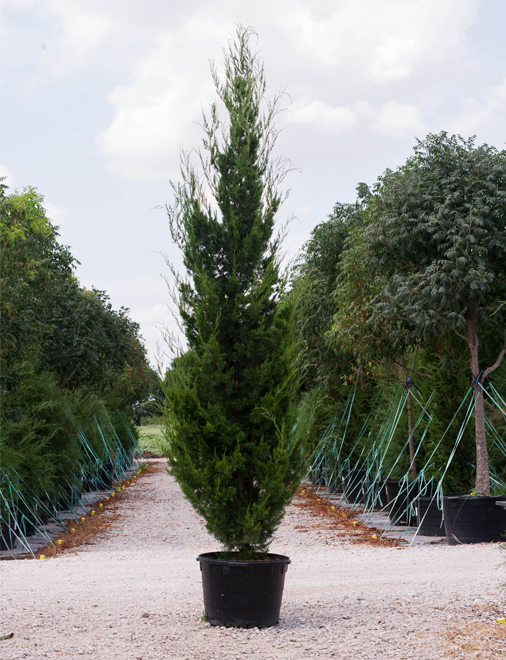 Brodie Junipers will reach a mature width of 12’ which gives them more versatility in smaller landscapes and they are often used as privacy screens in narrower landscapes. 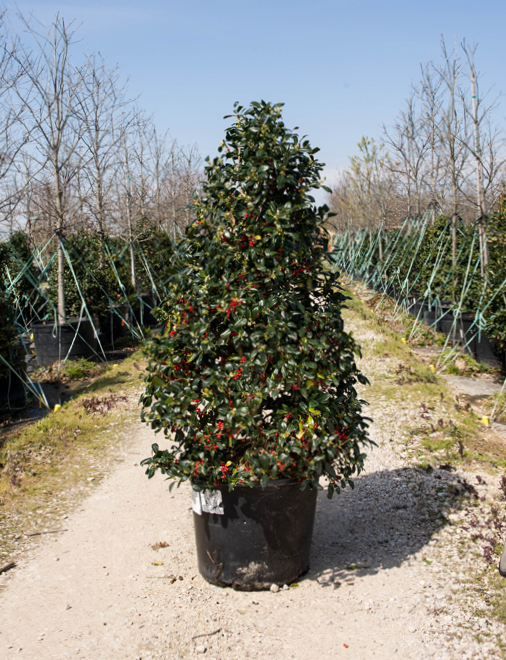 Brodie Junipers have naturally dense canopies with dark green foliage that have a very smooth feel which differs from it’s parent needle like foliage. 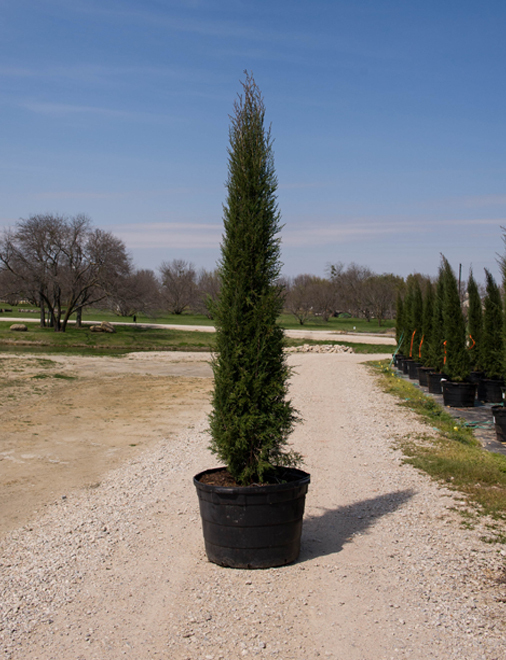 Another plus to the Brodie Juniper is the uniformity of their canopies since they are all taken from cuttings; its parent, the Eastern Red Cedar, has been known to have a lot of variance in the shape and size of their canopies. 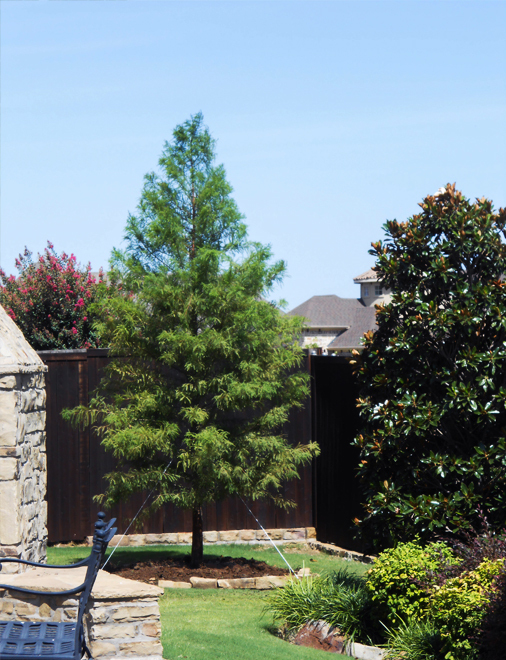 Brodie Junipers have proven to be extremely drought tolerant, disease resistant and able to handle a wide variety of soil conditions. In late fall they will produce an abundance of dark blue berries. 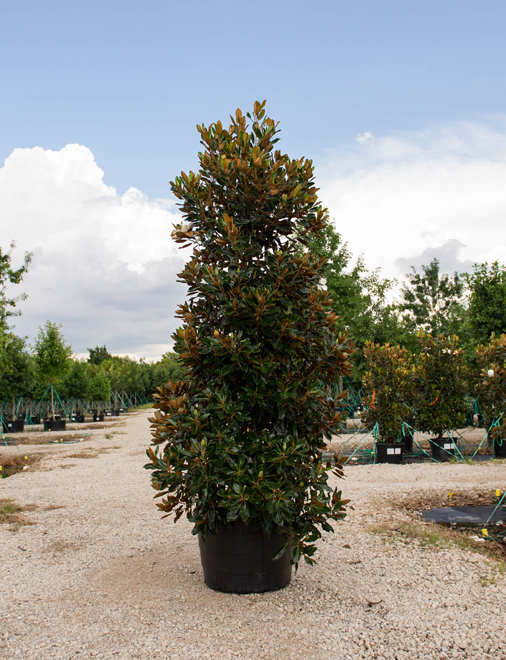 The Little Gem Magnolia has an upright and oval rounded canopy. The Little Gem Magnolia is recognized for its prolific flowering that lasts 6 months of the year, which lasts from May through October. The Little Gem Magnolia produces large fragrant creamy white saucer shaped flowers that are 8 inches wide. The Little Gem Magnolia has beautiful shaped oblong leaves that are 5 to 7 inches long and 2 to 3 inches wide. 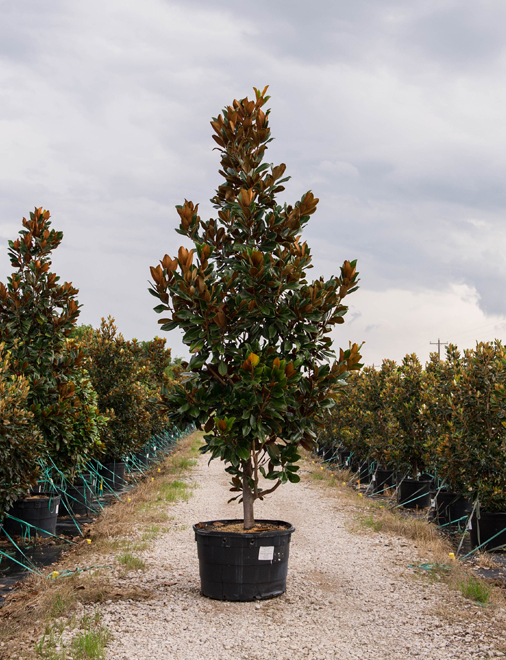 Little Gem Magnolias have leaves that are stiff and leathery with a deep glossy green color on top and a bronze-brown fuzzy underside. The Little Gem Magnolia differs from the Teddy Bear Magnolia in the following characteristics: Little Gem Magnolias have more open and rounded canopies, they produce a heavier volume of flowers, their leaves are narrower, and they grow faster than Teddy Bear Magnolias. The Muskogee Crape Myrtle is a hybrid between the Japanese Crape Myrtle (Lagerstroemia faurei) and the common Crape Myrtle (Lagerstroemia indica), which was developed by the US National Arboretum in 1978. 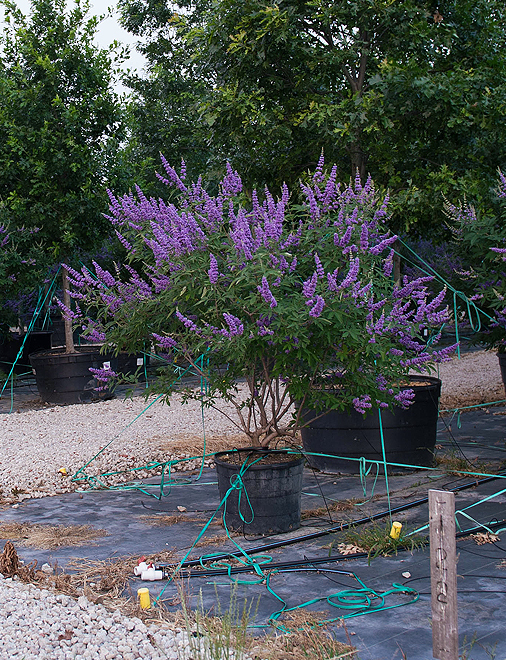 The Muskogee Crape Myrtle produces long lasting clusters of light lavender flowers. Each cluster within the Muskogee Crape Myrtle has hundreds of lavender flowers and each cluster can range from 8” to 16” long. 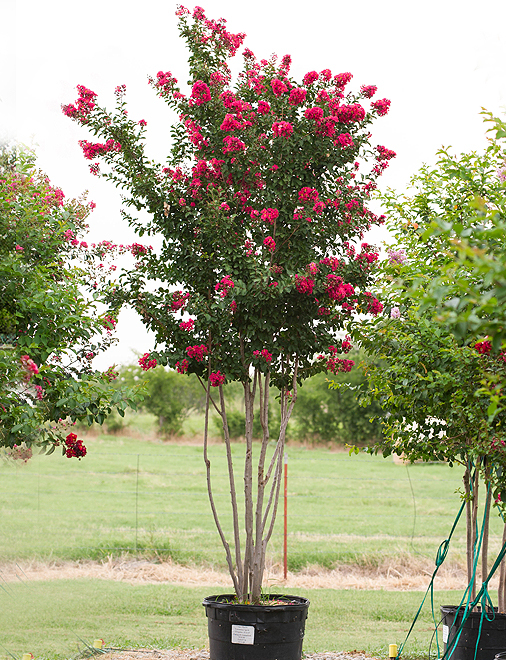 The Muskogee Crape Myrtle also has one of the longest flowering periods of any Crape Myrtle, 120 days. 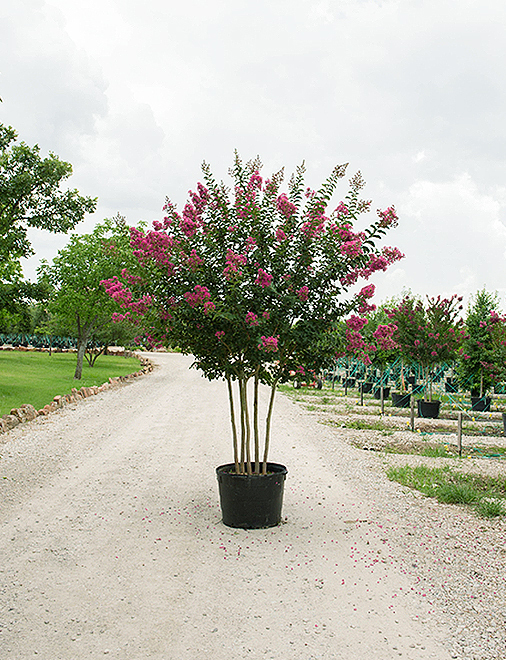 The Muskogee Crape Myrtle has a very tall and vigorous growing habit with small alternate leaves that are rounded at the base and are 1” to 3” long. 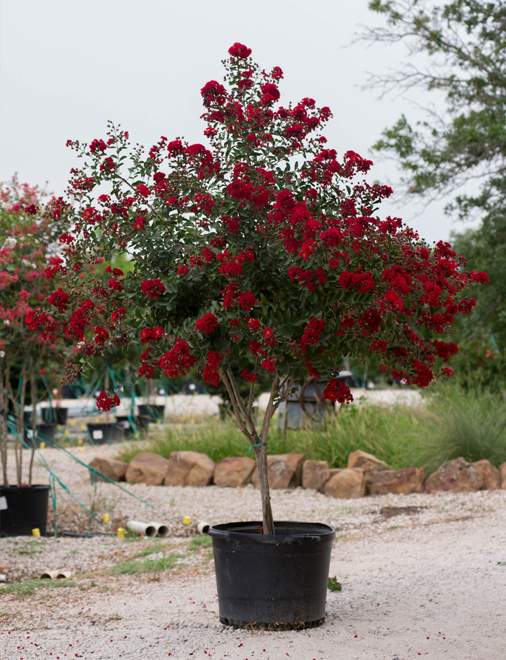 The Muskogee Crape Myrtle has leaves that are glossy green in the summer and in the fall they turn yellow and red. 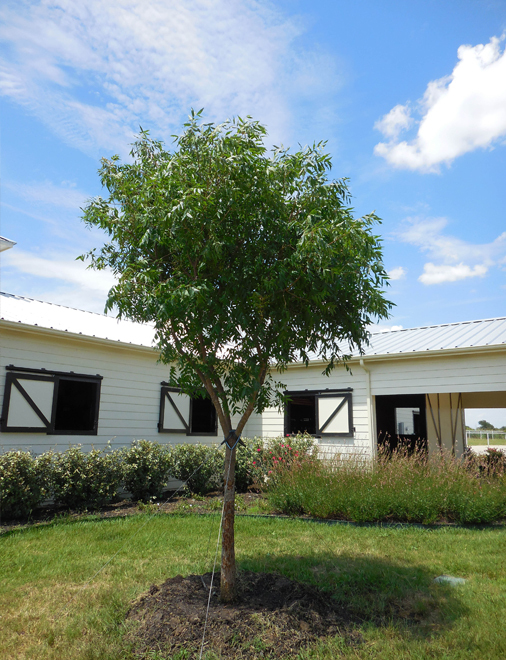 Each summer the Muskogee Crape Myrtle exfoliates its cinnamon colored bark in thin strips to expose a smooth and light gray colored bark. 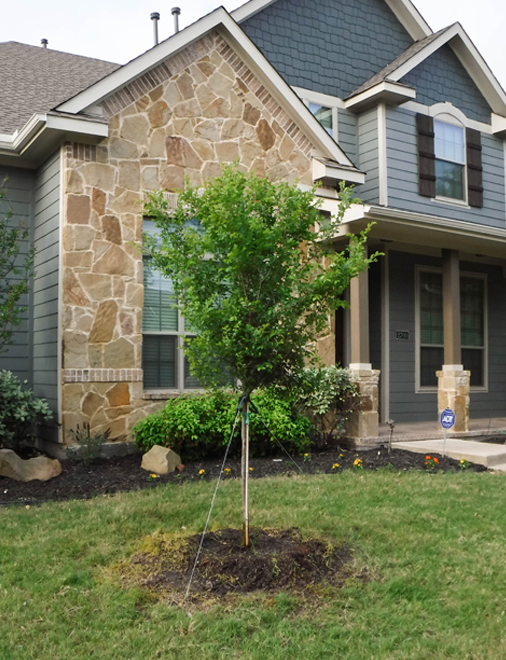 The Muskogee Crape Myrtle is adaptable to a wide range of soil types, very drought tolerant and has a very good resistance to powdery mildew. The Natchez Crape Myrtle is a hybrid between the Japanese Crape Myrtle (Lagerstroemia faurei) and the common Crape Myrtle (Lagerstroemia indica), which was developed by the US National Arboretum in 1978. 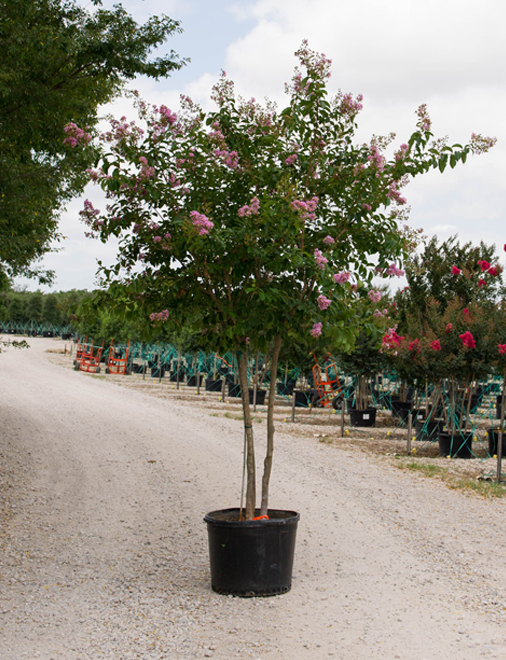 The Natchez Crape Myrtle was one of the first hybrids released and is certainly the most popular. 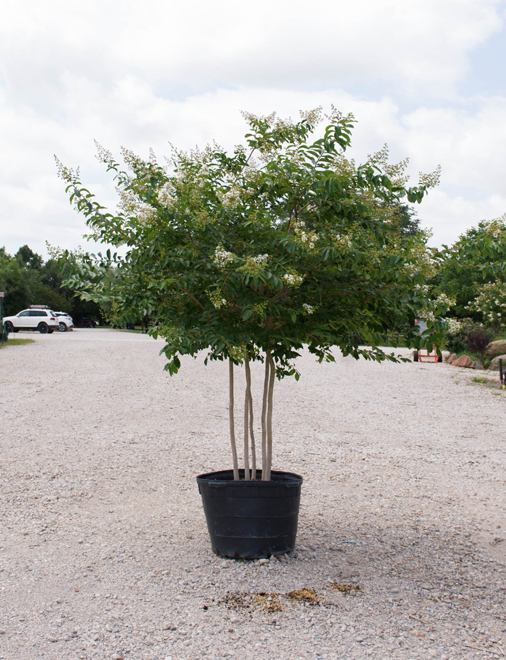 The Natchez Crape Myrtle produces long lasting clusters of white flowers. Each cluster within the Natchez Crape Myrtle has hundreds of white flowers and each cluster can range from 8” to 16” long. The Natchez Crape Myrtle also has one of the longest flowering periods of any Crape Myrtle, 110 days. 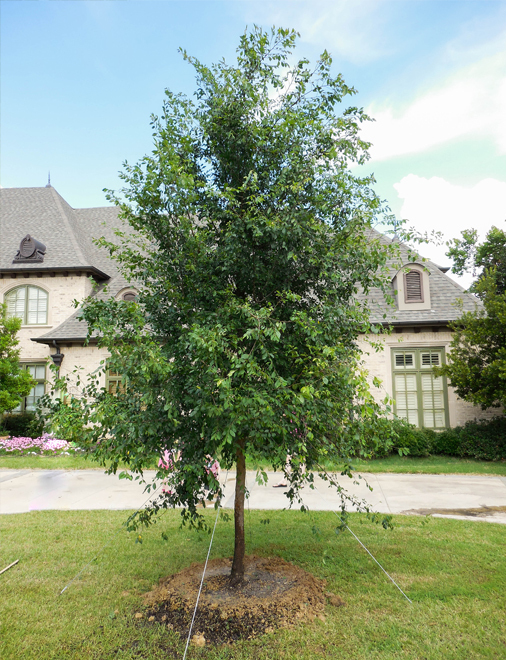 The Natchez Crape Myrtle has a tall and arching growing habit with small alternate leaves that are rounded at the base and are 2” to 3” long. The Natchez Crape Myrtle has leaves that are glossy dark green in the summer and in the fall they turn a vibrant orange-red. Each summer the Natchez Crape Myrtle exfoliates its dark cinnamon-brown colored bark in thin strips to expose a smooth and cream colored bark. 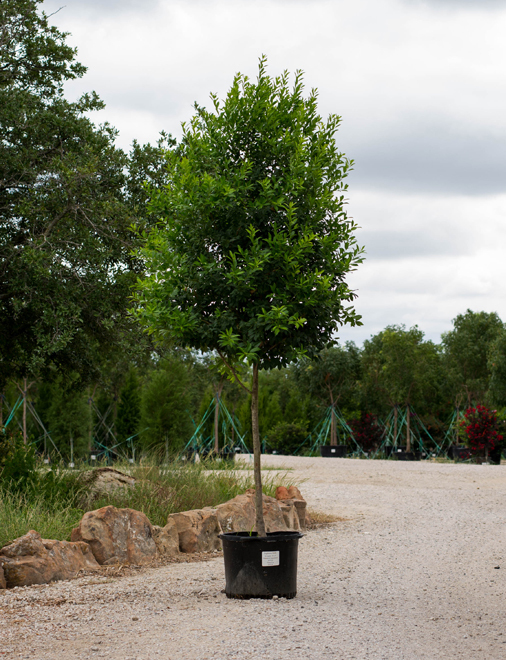 The Natchez Crape Myrtle is adaptable to a wide range of soil types, very drought tolerant and has a very good resistance to powdery mildew. 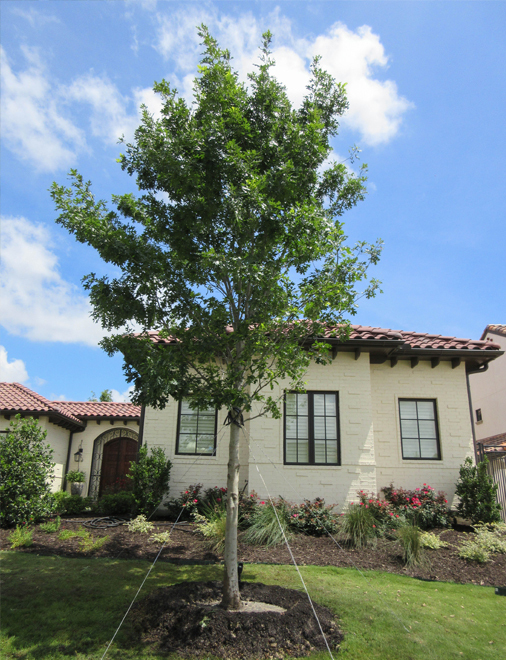 The?Cedar Elm?is native to Texas and grows throughout the Gulf Coastal Plains. 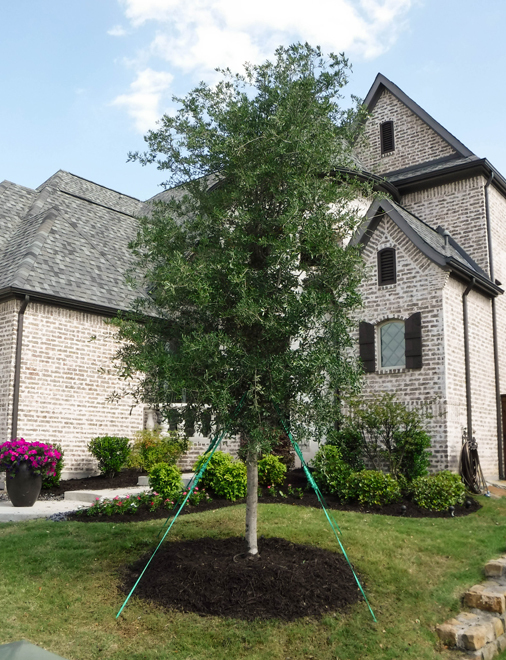 Cedar Elms are extremely drought tolerant and are adaptable to a wide range of soil types which includes: heavy clay, limestone, salty, fairly wet and limestone soils. 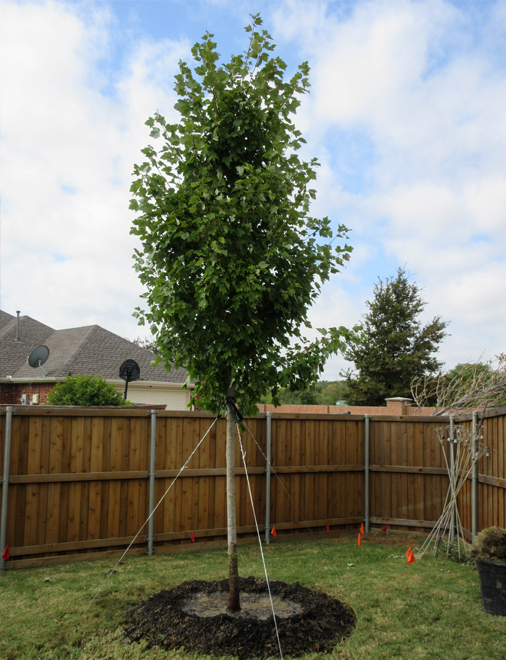 This flexibility is why the Cedar Elm is the most prevalent species of Elm within Texas. Cedar Elms have an upright and rounded crown with dense and slightly weeping branching. 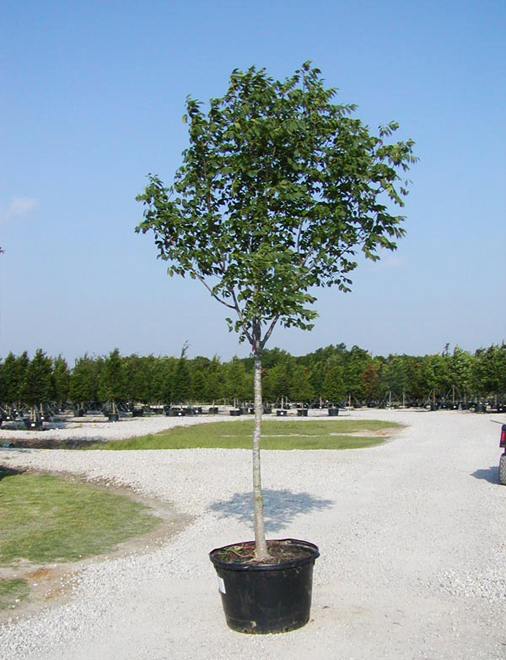 Cedar Elms are filled with 1″ long glossy green leaves that have a thick sandpaper like texture and serrated edges, which will turn yellow in the fall. Younger Cedar Elms may have cork growths “wings” along the sides of the branches which give them the appearance of a Winged Elm. As Cedar Elms start to mature the rougher bark starts to form over the branches causing them to lose their wings. The bark on a mature Cedar Elm appears light brown to gray which is highly ridged and deeply furrowed.